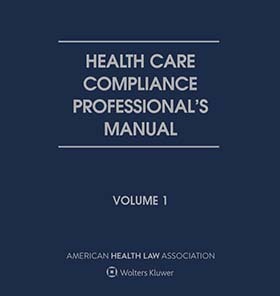 The Health Care Compliance Professional's Manual gives you all the tools you need to plan and execute a customized compliance program that meets federal standards. It walks you through the entire process, start to finish, showing you how to draft compliance policies, build a strong compliance infrastructure in your organization, document your efforts, apply self-assessment techniques, create an effective education program, pinpoint areas of risk, conduct internal probes and much more. Stay up-to-date on all the latest legal and regulatory requirements affecting your facility, including HIPAA, EMTALA, fraud and abuse reimbursement, privacy, security, patient safety and much more! Who Sets the Standards of Compliance Programs? The Varied Levels of Independence of a Chief Compliance Officer’s Role: Which is Right for You?